Fact: Federal funds do not pay for abortion. At Planned Parenthood, we don't agree with this harmful policy—but it's the law & we follow it. Even though current federal law bars the use of money specifically for abortions, conservatives have complained that the women’s health services organization does support research they oppose. Planned Parenthood has warned that cutting off their funding will have major impact on Medicaid recipients, millions of whom obtain health care services in their clinics. The report, however, leaves out the “fungibility argument,” which emphasizes that even though the federal Hyde Amendment prohibits direct taxpayer funding of abortion, the federal monies given to Planned Parenthood allow it to pay its other expenses so that it can provide those abortion services. “What is getting lost in the fungibility argument is that, with Planned Parenthood, it is more than just the basic fungibility of money,” says David Daleiden, project lead at Center for Medical Progress, which produced the undercover videos alleging Planned Parenthood’s sale of the body parts of aborted babies for profit. 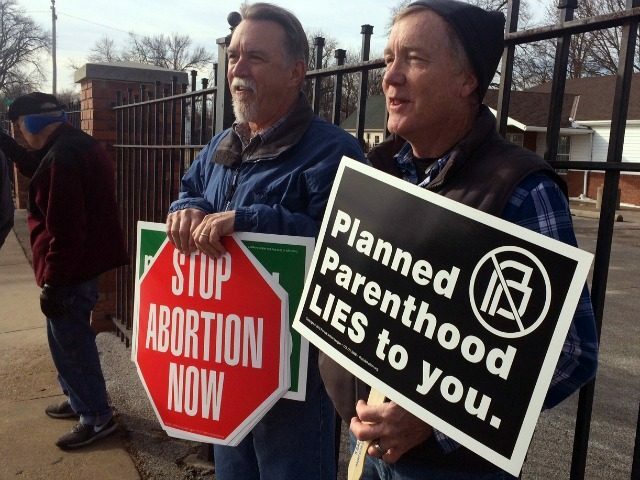 “Planned Parenthood as a medical organization is literally run by abortion doctors,” Daleiden tells Breitbart News. The medical directors at each affiliate, who oversee all the other health services, are also typically the main abortion doctors. Dr. Deborah Nucatola, the senior director of medical services who we caught on video talking about doing partial-birth abortions to harvest body parts from 5-month-old babies, is the top PPFA doctor who writes the “Medical Standards & Guidelines Manual” that tells Planned Parenthood clinics how to run everything from abortions to breast cancer screenings. These people are getting paid a handsome salary to run an abortion business and even perform abortions as an inseparable part of Planned Parenthood’s core structure. The Medicaid “reimbursement” check the government cuts for Planned Parenthood Los Angeles, for example, in part goes to pay the abortion director’s salary. The report of the GAO investigation, which was called for by over 60 members of Congress in 2013, indicates that the six organizations—Planned Parenthood Federation of America; International Planned Parenthood Federation; Guttmacher Institute; Advocates for Youth, which claims to assist young women and youth of color access contraception and serves gay, lesbian, bisexual, transgendered, and questioning (GLBTQ) youth; Population Council; and the Sexuality Information and Education Council of the United States (SIECUS)—spent over $482 million in federal funding between 2010 and 2012. “Abortion is equally ‘vital to our mission’ as birth control or cancer screening,” Daleiden notes in Richards’ tweet. “So much for ‘only 3%,’” he adds, referring to Planned Parenthood’s other common claim that abortion is only 3 percent of its total activities.